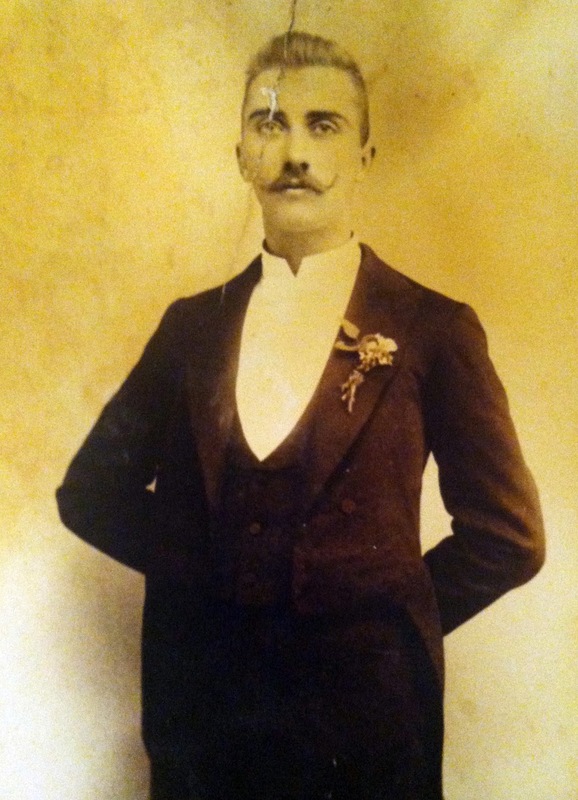 The below photo depicts my great-great-grandfather in his younger days. Despite the fact that he was not French, the words “the French dandy” are written across the back of the photo, presumably by some descendant who didn’t dig his style. I have two things I’d like to say about this photo: First, I feel his style has actually held up well. I’m not sure how old this photograph is, but I’d like to commend my great-great-granddad for sporting a style of facial hair that would put him in good company with the guys who frequent certain bars in my neighborhood. Second, I may only carry a thirty-second of this man’s DNA, but I’m hoping that having ancestor who looked this cool — even for a moment or however moments it took to get photographed back then — might balance out the great-great-grand-gunsels and -goomfers whose DNA comprises the rest of me.